Would you agree that we urgently need someone to teach us the control of such forces and how to use them wisely? That is why Saturn, the planet of Karma, is such a vital and invaluable part of the great picture of life, especially at the present time. Saturn is a symbolism for the stern and undeviating celestial schoolmaster who requires that every soul must eventually achieve control over its lower nature and complete mastery of all aspects of its being. It sounds daunting but we are not alone in this. God and the Angels are waiting to be called upon to help each one of us fulfil these requirements. Saturn is the great accountant of life whose ledgers are perfect and justice is wielded accordingly, under the supervision of the Lords of Karma. 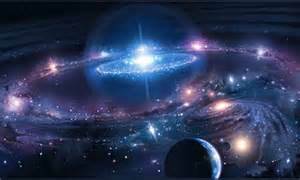 For this purpose the Universe keeps on the etheric level of life what is known as the Akashic Records. This is the place where at any given moment everyone’s thoughts, words and deeds on their evolutionary pathway through life is noted. Because we are responsible for them, they are recorded and each ones leaves its mark behind in the great book of life, similar to writing in indelible ink on the earthly plane of life. These files can be likened to a vast library and a bookkeeping system that, like any other, consists of credit and a debit entries and ledgers. None of these entries in the Universe’s system can ever be wiped out. It is just that the ones on the debit side can and must eventually be redeemed and balanced by our good deeds on the credit side. This continues until perfect balance has been achieved and we have grown wise to stop creating difficult Karma for ourselves and our world. This article is a chapter from ‘Healers And Healing’.